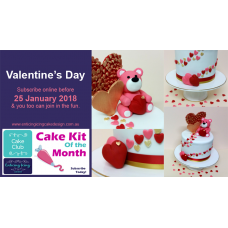 CAKE KIT "Cake Club Kit of the Month"
“Cake Club Kit of the Month” is a fun club where you receive a DIY cake project kit monthly. 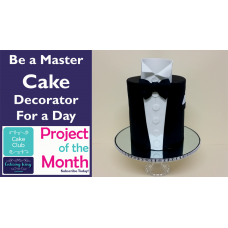 We offer FREE written and FREE VIDEO INSTRUCTIONS to assist you in learning new cake decorating skills and techniques. Cake decorating has never been so much fun. 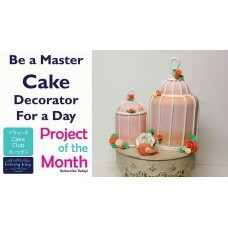 This is a wonderful options for the busy person who struggle to get to cake decorsting classes. Enticing Icing Cake Design brings the classroom to you in the comfort of your own home. Assisting you to learn in your own time. So no matter where you are in Australia, we can post a project kit to you. 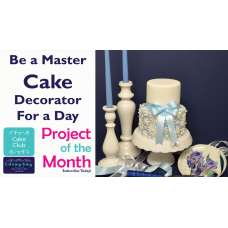 Our Cake Club Kit of the Month is a subscription cake kit that is posted each month charged at $51+ postage. However if you are a non-subscriber you can still get a kit to sample how wonderful the FREE VIDEO and WRITTEN INSTRUCTIONS and kit is. 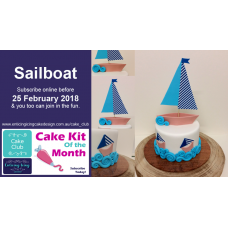 Our kit Cake Club "Kit of the Month" is designed for a decorator to expand your skills and techniques and the kit includes new tools and supplies not available in non-cake supply shops. 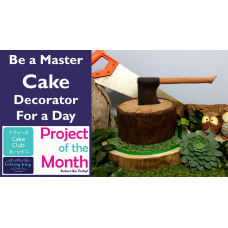 Would you like to subscribe to our Cake Club "Kit of the Month" and only pay $51 per kit? SUBSCRIBE CLICK HERE. Or see previous kits below. 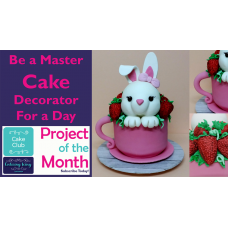 Be a Master Cake Decorator for a day a month...... TRY IT NOW AND CANCEL AT ANY TIME. “..